becomes a nuisance. By this time the dog problem is established as the dog’s ‘normal behaviour’. 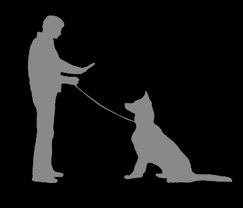 Dog nipping-teething To a dog it’s mouth is a useful tool for picking up items. It would have learnt from a few weeks old it’s mouth can be used to grip litter mates during play time. When a puppy arrives into it’s new home it is likely to continue with the behaviour. Most people have told me that they thought this was not serious and the dog should grow out of it. The dog may go on to nip when it gets excited or to get attention. It may also be a way for the dog to control situations to it’s advantage. 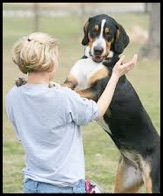 Some dogs will have noticed they can cause pain by the persons reaction to being nipped. It has now learned what to do to get it’s own way. Growling or snapping can become the precursor to the dog biting. So now we may have a dog that at best will growl to show it’s disapproval or worse bite, often without perceived warning. Children and the aged have soft tender skin which is easily broken so prevention from nipping at an early age is the best solution. 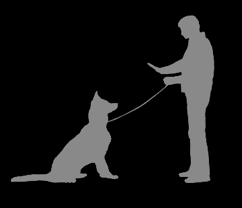 harness is sometimes chosen used in the hope of alleviating the problem but it only enables the dog to pull more. dog problem usually in just one session. 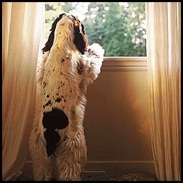 Dog separation anxiety is often complex to deal with as there are many causes for the problem. withdraw completely. A common cause is when a dog becomes over reliant of it’s owner. It may think the owner provides all the dog’s needs, requirements and security to the extent it cannot bare to be left alone, even if the owner goes into the next room. It may also defecate in the home. Other signs are when the dog becomes hyper when the owner returns to it, especially with prolonged absence. There are several possible causes. The most common dog problem is when the dog arrives into it’s new home and gets too much attention. Should the owner respond every time to the dog’s whimpering or worse take it into the bedroom at night the dog will not learn or accept being alone. confinement, lack of confidence and lack of communication and training. copraphagia eating faeces) is one of the dog problems that most upsets owners. The dog may eat it’s own faeces or that of other dogs. Dog owners are mostly baffled why their dog should exhibit such a disgusting habit. There are several reasons for this. (a) The dog has watched it’s mother clean up in the litter and thinks it should do the same (a learned behaviour). (b)The dog instinctively knows it is lacking in it’s diet and is recycling the waste which may contain nutrients and other benefits for the dog’s well-being (instinct). (c)The dog has been severely reprimanded previously, usually as a puppy and is disposing of the evidence. (learned experience). see no wrong in this behaviour.